When it comes to finding the biggest, traditional food retailer in the U.S. just look to the many aspects of Kroger (NYSE: KR). Their annual intake for groceries is $65.7 billion. Kroger operates 2,468 food markets under more than 12 different brands (as of January 2010, the most current information available). Many supermarkets also sell fuel. In addition to running 2,468 grocery markets, Kroger also operates 777 convenience stores, of which 87 are franchised. The convenience stores operate within six different banners in 18 states. 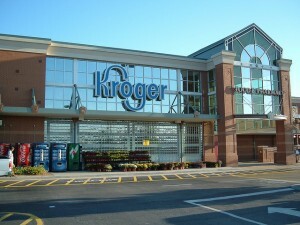 Kroger also operates a chain of jewelry stores. It is considered third biggest jewelry store chain with more than 374 locations. Consolidated sales for all of Kroger endeavors are $76.7 billion. All supermarket sales (not including fuel), was $65.7 for the fiscal year of 2010. Sales of all other items was $11 billion. I am branch 1018 NALC food drive coordinator. We are looking for 30,000 plastic grocery bags to deliver (with our postcards) to residents of Manhattan, KS. Can you help me, please?